Kiddie Academy tapped Planit to bring its print campaign, “Amazing Starts Here,” to life with a national TV spot airing this January. The spot shows children imagining, exploring and learning while dressed as historical icons such as Florence Nightingale and Abraham Lincoln. Read more about the campaign here. BALTIMORE (December 9, 2016) — Planit, Baltimore’s top award-winning communications, marketing and interactive agency, is pleased to announce it has been selected as a 2016 Corporate Culture Award winner by Baltimore SmartCEO. Planit was chosen for it’s commitment to championing a creative, collaborate and performance-driven culture. Chosen by an independent committee of local business leaders, the Corporate Culture Awards program honors companies who not only understand that culture is a company’s greatest asset, but actively and intentionally develop it. The Corporate Culture Awards ceremony was held on Dec. 8, 2016. Planit celebrated alongside leaders of Baltimore’s top companies challenging them to a game of corporate culture bingo, a reimagined and engaging take on the classic game. BALTIMORE (December 9, 2016) — Planit, a Baltimore-based communications, marketing and interactive agency, today announced it took home five awards at last night’s PRSA Maryland Chapter’s “Best in Maryland” (BIM) Awards Gala. Planit was recognized for its work with Maryland Auto Insurance (MAIF), a mission-driven company dedicated to reducing the number of uninsured drivers on Maryland roadways. The effort, inclusive of branding, advertising, a new consumer website experience, and both internal and external public relations outreach initiatives, worked to reinvigorate the 42-year-old brand by building awareness among those who’d never heard of Maryland Auto and changing the perception of the organization among drivers and selling agents. With the ultimate goal to increase the number of insured drivers in Maryland, all integrated efforts led with the same idea: having insurance is essential for getting where you want to go—in your car and in life. Open to all communications professionals who work in Maryland, the BIM Awards are presented annually to public relations practitioners who have successfully addressed a communications challenge with exemplary professional skill, creativity and resourcefulness. Each entry was reviewed by a panel of judges made up of public relations professionals from the PRSA’s Philadelphia Chapter and carefully evaluated based on the following criteria: planning/content, creativity/quality, technical excellence and overall results. For more information about PRSA MD’s Best in Maryland Awards and a complete list of last night’s winners, visit prsamd.org/2016-best-in-maryland. Adweek’s portrait highlights how Planit’s respectfully disruptive campaigns help brands shake up their image. Check it out here. BALTIMORE (October 25, 2016) — Planit, Baltimore’s top integrated marketing and interactive agency, announced the launch of its in-house video production division, expanding the firms’ storytelling capabilities and allowing the agency to deliver a full spectrum of visual media assets faster, and more efficiently, than ever before. As a rapidly expanding, independent agency driven to remain on the bleeding edge of emerging media, Planit continues making investments in order to widen the scope of services it provides to clients. In the creation of the new production department, Planit added top-of-the-line camera equipment and experienced video specialists, then housed all of it in a state-of-the-art, post-production studio known by Planit employees as the “Boiler Room,” located inside of the agency’s new corporate headquarters. The expanded division will be led by Agency Producer and longtime New Yorker, Dan Pardue, who joined Planit in August. In his role, Pardue will oversee the agency’s production team and streamline the creative process, allowing the agency to meet the growing demand for branded content, commercial video, and digital content. Pardue graduated from New York University’s Tisch School of the Arts with a Bachelor of Arts in Film & Television with an emphasis on creative storytelling. He has production credits on projects for a number of global brands, including Google, Red Bull, Prudential, and SC Johnson. Baltimore, MD (October 12, 2016) – Planit, Baltimore’s top communications, marketing and interactive agency, is pleased to announce a new partnership with Heavy Seas Beer, one of the most respected and acclaimed craft breweries on the East Coast. The agency plans to employ its proven strategic brand positioning process to help align Baltimore’s original craft brewer on a common goal for the future of the Heavy Seas brand. Together, Planit and Heavy Seas Beer hope to bring renewed excitement to the brewery’s entire lineup of traditional beers and strengthen the brand’s position among a new generation of craft beer drinkers. As craft brewers continued to flood the market with double-digit growth over the past decade, the award-winning brewery made significant investments in expanding its manufacturing and distribution capabilities. Now, with annual production in the top 100 of US brewers, Heavy Seas believed it was time to take a look at the brand itself, and reached out to Planit to re-establish its position as a category killer. Heavy Seas currently distributes throughout the East Coast, stretching from Maine to Florida and as far west as Indiana. For more information and a full distribution list visit: www.hsbeer.com. BALTIMORE (October 7, 2016) — Planit, Baltimore’s top communications, marketing and interactive agency, today announced the grand opening of Order&Chaos Coffee, a bold, creative coffee shop destination formed from the entrepreneurial vision of the agency’s co-founders, on Monday, October 10. Emulating a vibe indicative of the award-winning agency and how it operates, Order&Chaos Coffee’s black and white insignia can be easily spotted from Key Highway in South Baltimore. This announcement comes after Planit’s recent move in May from its Pratt Street location to its newly renovated office space at 1414 Key Highway. In addition to offering a new place for Planit employees to recharge, Order&Chaos Coffee’s floor-to-ceiling interior glass walls will provide customers with a transparent view inside the agency’s collaborative work environment. Planit also plans to frequently survey customers for useful consumer insights that may be incorporated into strategic campaigns for its clients. Open to both the public and Planit employees, Order&Chaos Coffee will serve gourmet hot and cold brew coffees, espressos, cappuccinos, lattes, teas and several varieties of smoothies. Pfefferkorn, a local family-operated roasting company that’s been supplying Baltimore with premium coffee since 1900, was selected to develop custom coffee blends exclusive to the coffee shop. Order&Chaos Coffee will also feature the only innovative, professional grade Slayer espresso maker in the Baltimore area, with superior steam capacity, enhanced temperature stability and state-of-the-art extraction control for fine-tuned espressos. In addition to premium beverages, Order&Chaos will offer specialty Liége waffles and other café food items. Order&Chaos Coffee currently staffs 11 employees with plans to expand in the future. For more information, please visit www.orderchaoscoffee.com. Located in South Baltimore at 1410 Key Highway, Order&Chaos Coffee is a bold coffee destination where java junkies, hungry neighbors and caffeinated creatives can get their fix. Owned by the co-founders of Planit, Baltimore’s top communications, marketing and interactive agency, the 1,1100-square-foot shop serves gourmet hot and cold brew coffees, espressos, cappuccinos, lattes, teas, several varieties of smoothies and an assortment of light fare. For more information, please visit www.orderchaoscoffee.com. Baltimore, MD (October 3, 2016) – At the height of Baltimore Innovation Week 2016, Planit took home the coveted title of 2016 Tech Business of the Year. Celebrating the city’s top creative minds, Technical.ly Baltimore hosted the annual Innovation Awards, recognizing and highlighting the technical prowess of Baltimore’s innovation and tech community. Earlier in the week, Planit also participated in the Media Conference Day where Erica Malanga, Social Media Manager, shared her perspective during the Social Media Strategies panel. The fourth annual Innovation Awards were aptly held in Baltimore’s Innovation Village, the city’s first innovation district, at the Maryland Institute College of Art’s Brown Center. For more information on the Baltimore Innovation Awards and a complete list of the night’s winners, visit http://2016.baltimoreinnovationweek.com/. Doud reflects on mistakes that have shaped his business philosophy. The Mistake: “One of our biggest mistakes early on was trying to please everybody all the time, trying to win people over by almost blindly agreeing, just to get to the next step. BALTIMORE (September 20, 2016) – The Initiative for a Competitive Inner City (ICIC) and Fortune have announced that Planit has been selected for the prestigious 2016 Inner City 100 list. This recognition places Planit in an exemplary lineage of nearly 900 fast-growing and innovative inner city businesses. Planit ranked 50th overall on the list of 100. 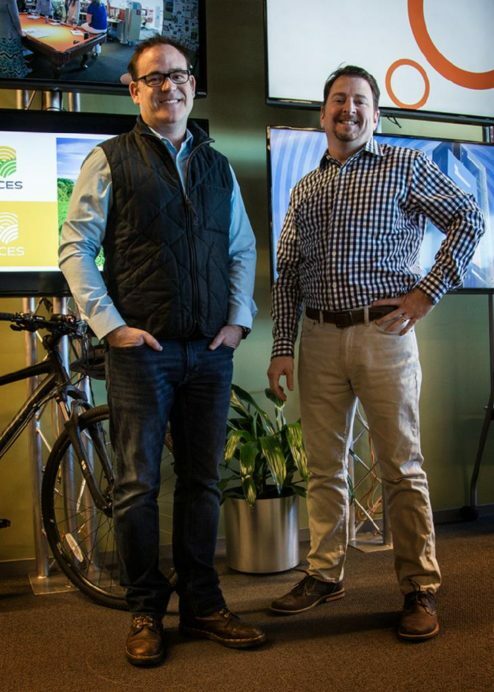 This honor comes on the heels of the Baltimore-based agency placing on the Inc. 5000 list for the fifth time and topping the Baltimore Business Journal’s Advertising Agency list for a second straight year. The Inner City 100 program recognizes and supports successful inner city business leaders, and celebrates their role in providing innovation and job creation in America’s cities. These companies strengthen local American economies, provide job opportunities for underrepresented communities, and drive forward economic and social development. The full list can be viewed on the Fortune website here. Employed 7,324 workers total in 2015. BALTIMORE (August 17, 2016) — Planit, Baltimore’s top award-winning communications, marketing and interactive agency, is pleased to announce that it has secured a spot on the 2016 Inc. 5000. This marks the 35th year Inc. magazine has put out its list of the fastest-growing private companies in the United States. Planit now holds the position of 3,055 on the esteemed list with 112 percent growth in sales over the past three years. The Inc. 5000 is the most prestigious ranking of the nation’s fastest-growing private companies and represents a unique look at the most successful companies within the American economy’s most dynamic segment—its independent small businesses. The list is ranked according to percentage of revenue growth when comparing 2012 to 2015. To qualify, companies must have been founded and generating revenue by March 31, 2012. They had to be U.S. based, privately held, for profit, and independent—not subsidiaries or divisions of other companies—as of December 31, 2015. Planit, holding the 3,055th spot on the Inc. 5000, joins the ranks of powerhouses on the 2016 list such as Pandora, LinkedIn, Yelp, and Zillow. Complete results of the Inc. 500/5000, including company profiles and an interactive database that can be sorted by industry, region, and other criteria, can be found at www.inc.com/inc5000. The annual Inc. 5000 event honoring all the companies on the list will be held October 18 to October 20, 2016, in San Antonio, TX. Speakers will include some of the greatest entrepreneurs of this and past generations, such as best-selling author and strategist Tony Robbins, SoulCycle co-founders Elizabeth Cutler and Julie Rice, Cornerstone OnDemand founder, president and CEO Adam Miller, Marvel Technology Group director and co-founder Weili Dai, and New Belgium Brewing co-founder and executive chair Kim Jordan. Baltimore Business Journal named Planit the Top Advertising Agency again this year. Even better? We claimed top Web Design Firm, too. Why? As our directors shared in an exclusive interview with the publication–by building brands, being authentic, and staying relentlessly digital. BALTIMORE, MD (July 26, 2016) — Planit, Baltimore’s top communication, marketing and interactive agency, announced that it has teamed up with Hofmann Brands as its PR agency of record to promote the beloved Syracuse brand and support its retail expansion into new markets nationwide through message development, creative public relations campaigns, new partnerships and events. The agency will also support the launch of new products, including the company’s Handwich brand featuring Hofmann Brands franks and sausages wrapped in artisanal brioche or pretzel rolls. The Handwich is available in Kielbasa, Jalapeno Sausage, Cheddar and German Frank varieties, as well as recipes inspired by flavors from across the globe. With a brand heritage and a customer following that spans generations—dubbed the “Sausage Brigade”—Hofmann Brands prides itself on doing things the old-fashioned way and bringing people together through a love of sausage. Hofmann Brands’ products are currently sold throughout the East Coast, the Midwest, Florida and Texas, with plans to expand to the Western United States in the near future. BALTIMORE (June 1, 2016) — Java junkies, hungry neighbors, and caffeinated creatives will soon have a new place to get their fix. Planit, Baltimore’s top communications, marketing and interactive agency, plans to open a fresh, forward-thinking coffee destination in August at the site of its newly renovated office space at 1414 Key Highway. Order & Chaos Coffee will be open to both Planit employees and the public, offering jolts of caffeine and creative in a one-of-a-kind environment. The 1,100-square-foot shop will serve gourmet coffee, espresso, cappuccino, teas and an assortment of light fare. This comes after Planit’s announcement last August to renovate a historic building in the Key Highway business district with a custom design for its new office space. Planit appointed Ryan Herzing to serve as general manager of Order & Chaos Coffee. Herzing has nearly 10 years of experience in the hospitality industry. Most recently, he served as general manager of Roti Mediterranean Grill in Washington, D.C. Prior to that, he was area supervisor for Venti Tre Modern Italian, operating the restaurant’s Baltimore and Gaithersburg locations. Order and Chaos Coffee selected Pfefferkorn Coffee, Inc, a family-operated roasting company that’s been supplying Baltimore with premium coffee since 1900, to create custom blends of aromatic, smooth brews. Order & Chaos Coffee plans to open its doors in August 2016. Planit not only adapts to change, we embrace it. It’s a huge part of our culture, and key to our success. Our commitment to growth compels us to constantly reevaluate how we can work smarter—with each other, and with you. It’s what led us to move across the harbor and create a new, innovative workspace that is representative of the way Planit operates today, and how we plan to operate in the future. You’ll find us at 1414 Key Highway, Suite 100, Baltimore, MD 21230. You also may have noticed our new look. Our logo is our fearless hello to the world. So we made it bolder. And green. Green as in clean, green as in go. As in never stop. Besides, we eat change for breakfast, lunch and dinner. BALTIMORE (May 4, 2016) — Planit, Baltimore’s top communications, marketing and interactive agency, announced today that Jessica Brown has been promoted to digital creative director. As head of the digital creative department, Brown will oversee a cross-disciplinary team of motion designers, art directors and UI experts who will collaborate with Planit’s strategic and technology departments to ensure concepts and subsequent executions deliver on campaign objectives and exceed creative expectations. Since joining the firm nine years ago, Brown has evolved how Planit works as a business and partners with clients. And her efforts have produced meaningful results—Planit more than doubled agency revenue in the past three years, with digital creative work being a driver of that success. With more than twelve years in the industry, Brown’s work has been recognized by the Webbys and the National ADDYs, and she has created award-winning experiences for PBS KIDS, Marriott International, Ritz-Carlton, Universal Music Group, McCormick, Mally Beauty and The Kennedy Center, among many others. BALTIMORE (March 7, 2016) — Planit, Baltimore’s top communications, marketing and interactive agency, announced today that it has been appointed public relations agency of record for Sheetz, one of America’s fastest growing family-owned and operated convenience store chains. With more than 500 stores and 17,000 employees across the Mid-Atlantic Region, Sheetz is looking to Planit to support its continued growth by increasing brand awareness in new markets as well as building brand evangelists and creative communications campaigns to change the perception surrounding “gas station” food. Planit will manage and execute all aspects of public relations on behalf of Sheetz, including food promotions, event activation, thought leadership and media relations on local, regional and national levels. The agency will also drive awareness of the convenience store chain’s corporate culture, social responsibility, community partnerships and sustainability efforts. In addition to managing public relations for Sheetz, Planit has developed and executed campaigns for other F&B/hospitality brands, including Marriott International, Four Seasons Hotel Baltimore, McCormick & Company Incorporated and Tessemae’s All Natural. Established in 1952 in Altoona, Pennsylvania, Sheetz, Inc. is one of America’s fastest growing family-owned and operated convenience store chains, with more than $6.9 billion in revenue and more than 17,000 employees. The company operates over 500 store locations throughout Pennsylvania, West Virginia, Virginia, Maryland, Ohio and North Carolina. Sheetz provides an award-winning menu of M•T•O® sandwiches and salads, which are ordered through unique touch-screen order point terminals. All Sheetz convenience stores are open 24 hours a day, 365 days a year. For more information, visit www.sheetz.com or follow us on Twitter (@sheetz), Facebook (www.facebook.com/sheetz) and Instagram (www.instagram.com/sheetz). BALTIMORE (March 11, 2016)— Planit, Baltimore’s top agency, took home eight gold and silver awards last night at the Baltimore American Advertising Awards ceremony. The annual awards competition, also known as the ADDYs, celebrates Baltimore’s most talented marketing communications professionals. Highlights of the eight gold and silver awards won by Planit include a national campaign and website design for Marriott Rewards and VISA, logo designs for Martin O’Malley’s 2016 presidential campaign and Maryland Auto Insurance, a microsite and a direct mail kit for Zuri® Premium Decking by Royal®, a website for Shady Grove Fertility, and a brochure for ArmadaCare. This year the American Advertising Federation of Baltimore received more than 290 entries from agencies, production houses and in-house marketing teams in the Baltimore area. To ensure fair judging, four creative advertising professionals from outside of the Baltimore market reviewed each entry. The 42nd Annual Baltimore American Advertising Awards event was held at the Baltimore Museum of Industry on Thursday, March 10. This year’s theme celebrated all things Baltimore, elevating and embracing the unique aspects of the city, which was fitting for Planit, as the agency’s headquarters will move to a new, standalone office in South Baltimore late this spring. Planit hosted a live-stream viewing of the sold-out event at Little Havana Restaurante y Cantina, where attendees who weren’t able to get tickets could get in on the action through a Periscope broadcast from the Baltimore Museum of Industry. For more information on the American Advertising Federation of Baltimore and a complete list of last night’s winners, visit www.baltimoreadvertising.com. “Launching an agency is not for the faint of heart. Having a co-founder can ease the burden…” Planit co-founders Matt and Ed caught up with Digiday to dish on their recipe for success, including a lifelong friendship, a sail and a rudder. Read the Digiday article here. 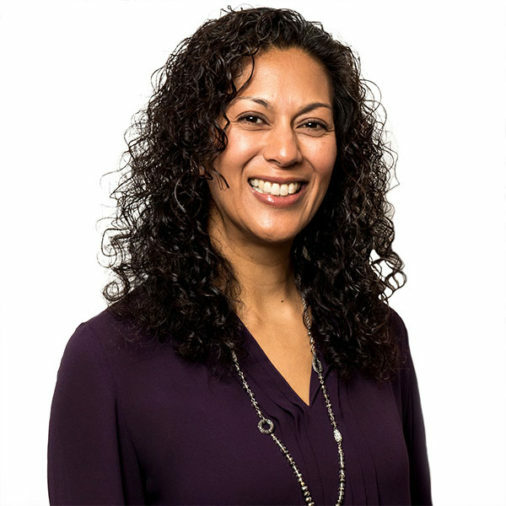 BALTIMORE (February 17, 2016) — Planit, Baltimore’s top communications, marketing and interactive agency, announced today that Trish McClean has joined the firm as director of account planning. In her new role, McClean will oversee the development of Planit’s strategic marketing plans and the integration of communication tools and consumer insights into them. McClean comes to Planit with more than 20 years of experience after holding several senior-level positions at Baltimore agencies where she developed marketing and communication strategies for clients such as McDonald’s, CSX Transportation and Maryland State Lottery. In her previous role, McClean served as director for the Women’s Leadership Council at United Way of Central Maryland where she leveraged the expertise of the region’s top businesswomen and community leaders to advocate for impoverished families. McClean earned her Bachelor of Science in Marketing from the University of Maryland, College Park. She is a guest lecturer for several marketing and advertising courses at Towson University and currently serves on the marketing committee for Center Stage. 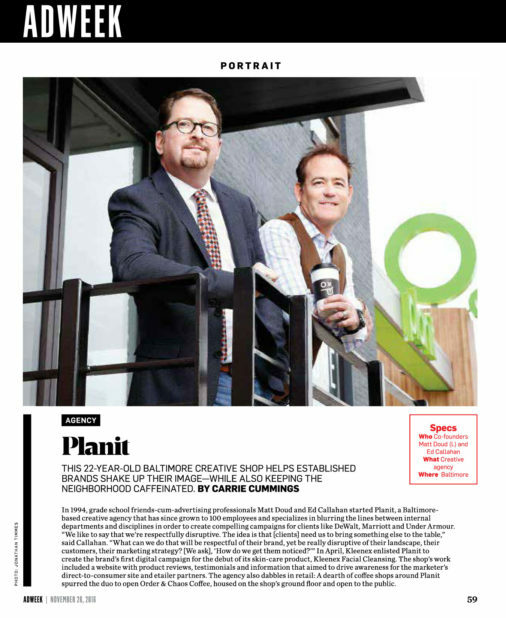 Baltimore, MD – February 2, 2016 – Matt Doud and Ed Callahan, co-founders of Planit, have been named among The Daily Record’s Influential Marylanders for 2016. Callahan and Doud were chosen as honorees for their significant contributions to the business community throughout Maryland and for their leadership in the area of communications. In addition to leading the creative direction of Planit, Callahan also provides creative and strategic support to several Baltimore pillars, including Calvert Hall College High School, Mariposa, The Maryland Zoo in Baltimore and the Baltimore Area Council of the Boy Scouts of America. He further supports charitable efforts by encouraging and supporting Planit employees’ participation in activities that benefit Maryland organizations and residents, such as the 2015 Susan G. Komen Maryland Race for the Cure and Tessemae’s All Natural Crop Circles event. This year marks the 10th anniversary of Influential Marylanders, which The Daily Record began in 2007 to recognize those who are leaving a mark on the community throughout the state. Callahan and Doud, along with the other honorees, will be recognized at a ceremony on March 17 at 5:30 p.m. at The Grand Lodge of Maryland, 304 International Circle in Cockeysville. Winners will be profiled in a special magazine that will be inserted into the March 18 issue of The Daily Record and available online at www.TheDailyRecord.com.